If your needs involve large diameter plastic pipe technology, the company Spirolite should be one of your top choices. Spirolite has cultivated a strong reputation for its high-density polyethylene pipe which comes in a multitude of diameter sizes from 18 to 120 inches. The manufacturing process used by Spirolite to create its pipe products is unique. Spirolite also happens to be the only polyethylene pipe system in the United States that provides a true cost competitive secondary option to piping materials that are often used for applications like wastewater or gravity sanitary sewer usage. 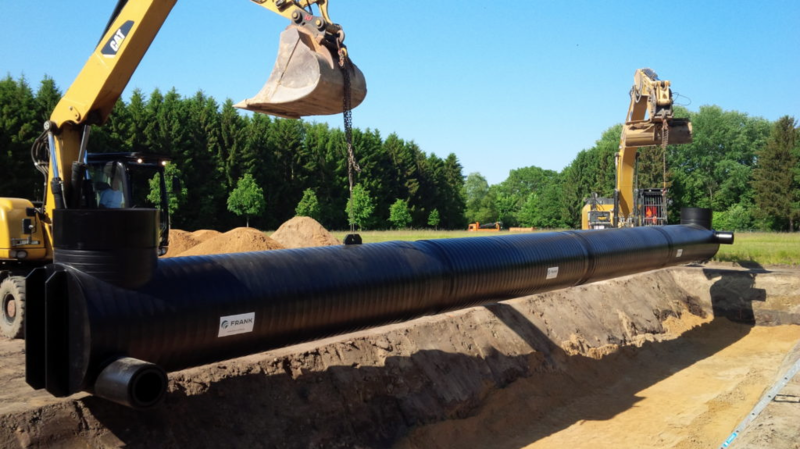 The inventive design of Spirolite pipe makes installation easier by reducing the time required to take care of this step and it also has strong long-term resistance to corrosive effects. Furthermore, buyers can rest assured that Spirolite pipe sticks to the rigid requirements of ASTM F-894. Strength in flexibility, enduringness, these represent some of the characteristics that make Spirolite an exemplary solution. Give us a call to discover how this pipe can help you perform the job.